EAST RUTHERFORD, N.J. (AP) — Cleveland Browns cornerback Joe Haden is active and will start against the New York Jets after being listed as questionable for the game with a bruised hip. 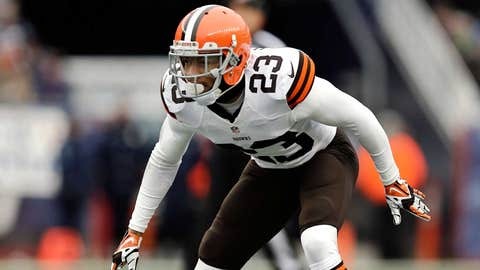 Haden returned to practice Friday after missing two days with the hip ailment. He was injured last week against Chicago while trying to make a tackle. Tight end Jordan Cameron is inactive after he was ruled out earlier in the week with a concussion. Gary Barnidge is starting in his place. The Browns are also without wide receiver Davone Bess, who was placed on the reserve/non-football illness list Saturday. Left guard Jon Greco (hip) is out and will be replaced by Jason Pinkston. Among the Jets’ inactives is backup defensive back and special teams ace Ellis Lankster with an injured jaw.